OZ Cleaning Solutions has been in Cleaning business for many years and all of our carpet cleaners are highly specialized in cleaning industry with more than 10 years experience. 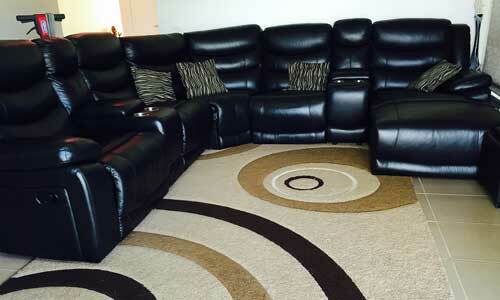 We specialize in office and domestic carpet, rug, mattress, upholstery and end of lease cleaning. We pride ourselves on our high criterion of service so all of our professionals have been skilled to a high standard and clutch industry recognized qualifications. OZ Cleaning Solutions have been providing comprehensive, quality and efficient cleaning services like carpet cleaning, duct cleaning, tile and grout cleaning, upholstery cleaning, flood damage restoration and more across Melbourne area. OZ Cleaning Solutions is one of those carpet cleaning companies in Melbourne who truly care about the health and protection of our clients, so we offer eco-friendly cleaning service by well equipment and experience team. As an independent carpet cleaner Melbourne, we offer cleaning services with much more attractive price and higher quality finish to suit your home or business needs. Our customers in Melbourne can be confident that by choosing OZ Cleaning Solutions. If you have any requirement related to cleaning service then call us on 0433 013 095 or send an email with your needs. We will best try to help you ASAP.